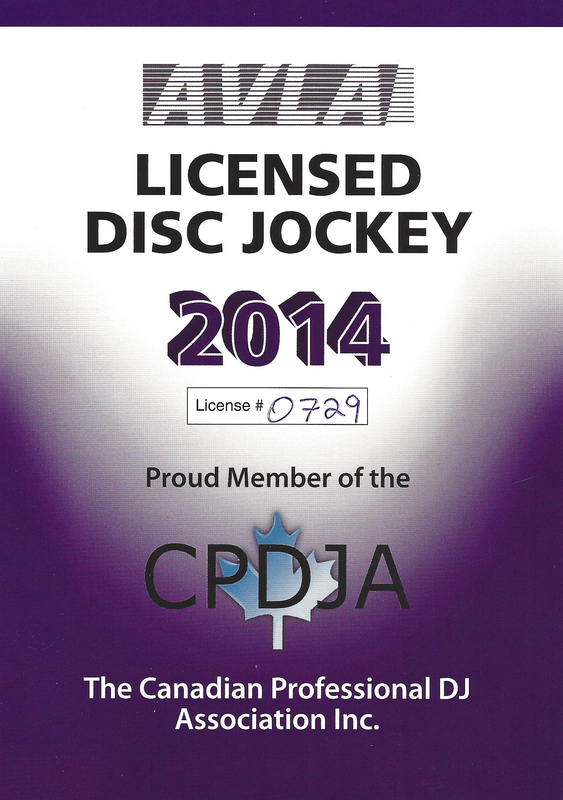 We are pleased to be a member of the Canadian Professional Disc Jockey Association. Also we are a fully licensed entertainment company with AVLA. It’s always good to know that your DJ company is in full compliance with the law.